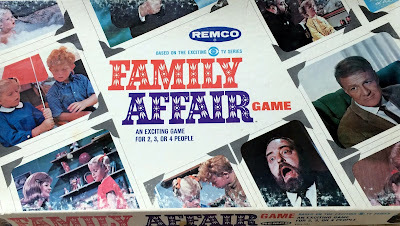 Yesterday, December 3rd, was my forty-eighth birthday, so it seems appropriate to focus this Cult-TV Theme Watch to cake, and preferably birthday cake. A cake is a concoction of soft food made from a mixture of eggs, sugar, flour and other ingredients. A cake is baked, and sometimes decorate, if for a special event (like a birthday). 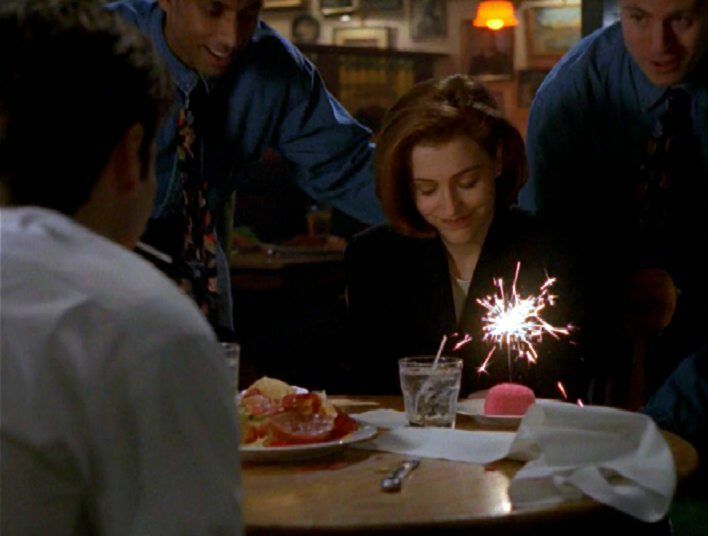 Cakes have appeared frequently in cult-TV history. 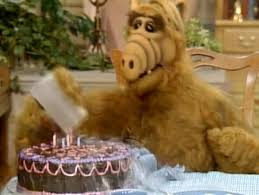 Alf gets confused in an episode of ALF (1984-1988) and pours cold water on his birthday cake candles, so as not to start a fire. 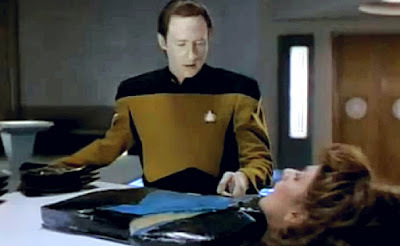 A cake of a most unusual variety appears in the seventh season Star Trek: The Next Generation (1987-1994) episode “Phantasms.” There, Lt. Cmdr Data (Brent Spiner) has a dream in which he carves up a cake that is molded in the shape of Counselor Troi’s (Marina Sirtis) torso and head. It is a “peptides” cake.